With great sadness, we announce the death of Alan Day on 2 December aged 94 after a long period of ill-health. The School owes a huge debt of gratitude for his pivotal role in heading off an existential threat when the government in 1979 – almost overnight – withdrew taxpayer support for foreign students. Alan Day was the Pro-Director (singular) in a highly successful double act with Ralf Dahrendorf. In autumn 1979, a few weeks into his term of office, he recognised the potential loss of income for an institution 38% of whose students were from overseas, shepherded a proposal to introduce fees of £2,000 per year through School committees, and took executive action to send three colleagues (I was one, so saw the process from the inside) to the USA to recruit General Course students. Those policies plus his wider activities as Pro-Director led to an unprecedented second term, from which he resigned in 1983 on doctor’s advice, having had surgery for renal cancer, and took early retirement the following year. He was made an Honorary Fellow in 1988. Ralf Dahrendorf was very clear about Alan’s key role . ‘Let me say again what I said to you before: as Pro-Director you have left traces in the history of the School which will not be forgotten. These are traces of style and of commitment, but also of tangible contributions to the survival of the School’ (letter to Alan Day (26 June 1983). Those achievements were superimposed on a distinguished career as academic, policy adviser and what today we would call a public intellectual. After a First in the Economics Tripos at Cambridge, he was appointed Assistant Lecturer in 1949 by Lionel Robbins as part of rebuilding the department after the war, and promoted to Reader in 1956 and to Professor of Economics in 1964, having turned down a chair at Yale. 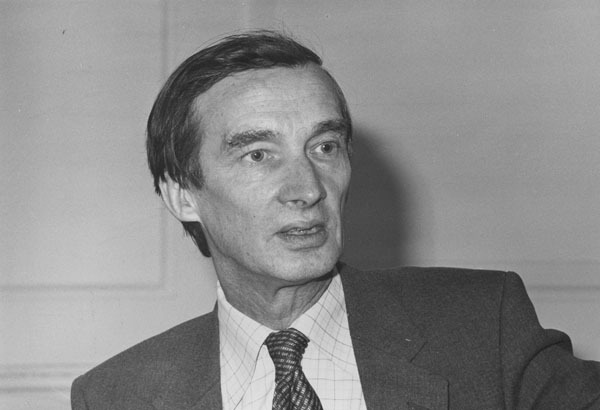 Thus his career spanned some of the giants of LSE economics – Lionel Robbins, Bill Phillips, Basil Yamey, Peter Bauer, Harry Johnson, Frank Hahn, Terence Gorman, Amartya Sen and Tony Atkinson. Appointed within a year of each other, Alan and Bill Phillips became close friends, sharing their wartime experiences (which Bill shared with virtually nobody else), and Alan was instrumental in introducing Bill to his future wife, and subsequently was best man at Bill and Valda’s wedding. His many School roles included a successful and popular spell as Convener of the Economics department and membership of a wide range of School committees. Alongside his academic work as a monetary economist, Alan had a particular gift for translating theory into policy, leading to a role advising Labour Minister Anthony Crosland and to membership of government commissions including the Layfield Committee on Local Government Finance, spells as Economic Adviser to HM Treasury and to the Civil Aviation Authority, and membership of the board of the British Airports Authority. Connected was a gift for explaining economics to a wide readership, exemplified by his regular articles in the Observer (he had an awesome ability to draft in ink rather than pencil, and for his first draft, with hardly a change, to become the final version). At least as important as his accomplishments was Alan the person. He was instinctively tolerant of views different from his and, alongside colleagues like Michael Wise (Professor of Geography), created an atmosphere in the Senior Common Room in which young lecturers could trade ideas with senior colleagues in a relaxed way – something that has become a hallmark of the School. As a beneficiary, I look back at those times with gratitude, and over a longer period to Alan’s role as mentor and friend. On a personal note, it was Alan who suggested that my prospective book on the welfare state should include discussion of student loans – the genesis of my work on higher education finance. In sharp contrast to Alan’s tidy mind was a desk that typically looked as though an earthquake had struck. At a time when, as Pro-Director, he had one of the School’s only phones that allowed international direct dialling, he let me use his office to organise a US recruiting trip. My starting point was an archaeological dig to uncover some desk space. Whether as a counterpoint to his desktop or connected with Bill Phillips’ early research with computers, Alan had a keen interest in electronics, and in the early 1980s was instrumental in introducing word processing (as it was then called) to the School. He also had a seemingly encyclopaedic knowledge of international flight timetables. An inveterate smoker, he stopped when he became ill in 1983 but denied that he had given up, insisting that he was merely taking a longer-than-usual gap between cigarettes. That illness struck early in his very happy marriage to Shirley, who nursed him through that episode and devotedly through his long last period of ill-health. In between they enjoyed 35 years of great happiness in active retirement turning a wreck of a Grade II listed building in Kent (collapsed plaster, peeling paint, curtains in rags) into a place of great beauty but simultaneously warm and welcoming. That great project was interspersed with regular trips to London and wide-ranging travel abroad. Sad news. In the 1960s I was a tutor for Professor Alan Day for the first year Economics course. He was a very helpful supervisor for his tutors. His students enjoyed his lectures. He will be sadly missed.